bettercap is a network utility for performing Man In The Middle (MITM) attacks and tests. 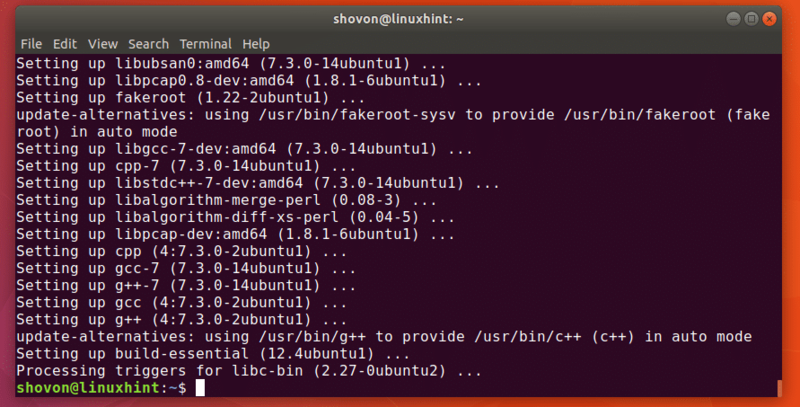 In this article, I will show you how to install bettercap and use the events.stream on Ubuntu 18.04 LTS. Let’s get started. The package repository cache should be updated. Now press y and then <Enter> to continue. 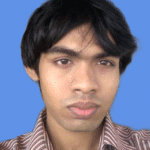 Linux build tools and network utilities should be installed. 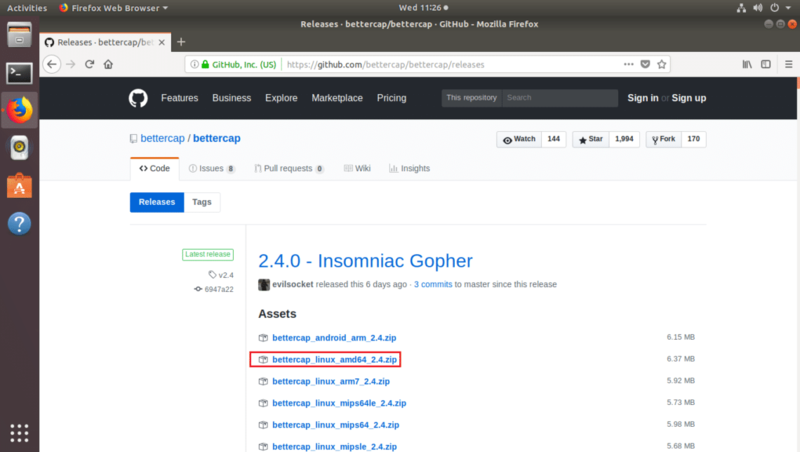 Now you have to download bettercap from the GitHub repository. 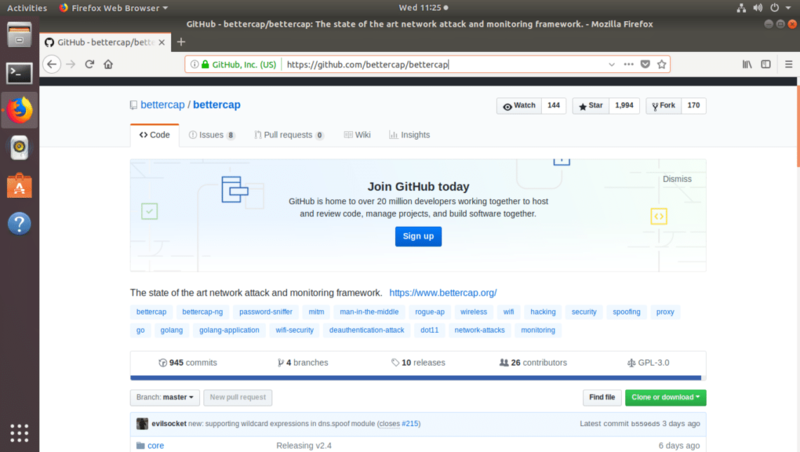 Go to the official GitHub repository of bettercap at https://github.com/bettercap/bettercap and you should see the following page as shown in the screenshot below. Scroll down a little bit and click on the link precompiled version is available as marked on the screenshot below. You should see the following page. 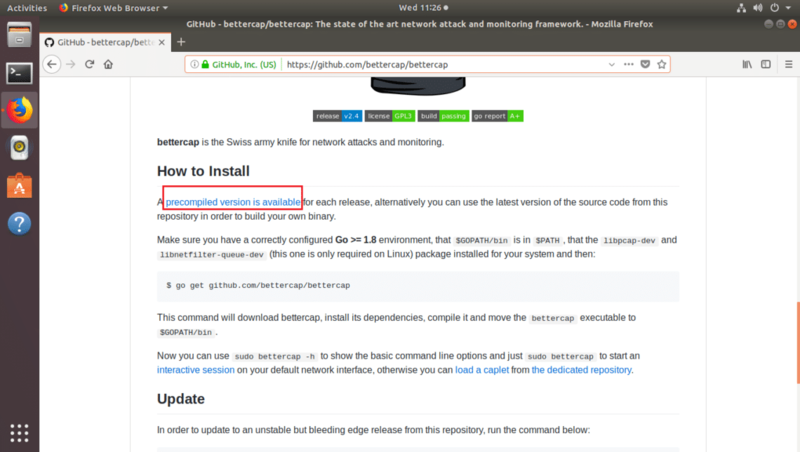 Now click on the download link for bettercap linux amd64 version as marked in the screenshot below. Your browser should prompt you to save the file as shown in the screenshot below. Click on Save File. 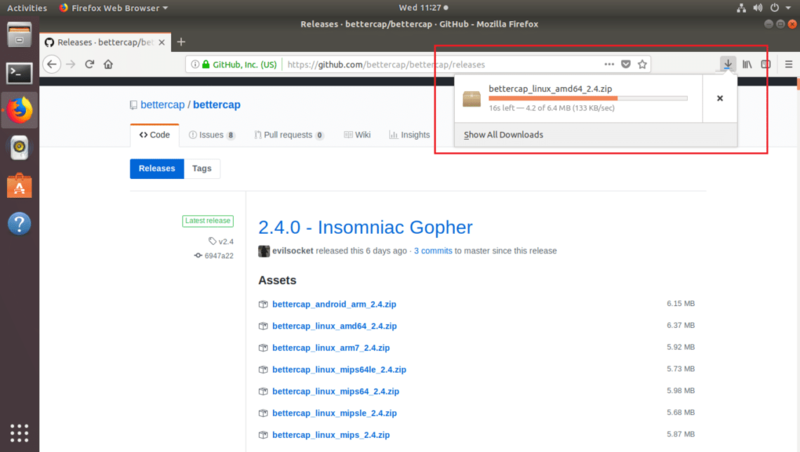 The bettercap .zip archive should be downloading as you can see in the screenshot below. 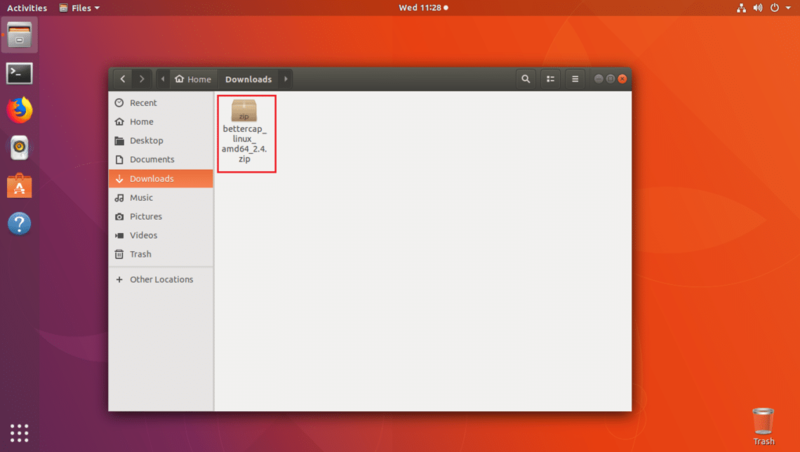 Once bettercap is downloaded, you should find it in the ~/Downloads directory as you can see in the screenshot below. Now right click on the file and click on Extract Here as you can see in the marked section of the screenshot below. A new directory should be created as you can see in the screenshot below. Right click on Open in Terminal. A terminal should be opened. 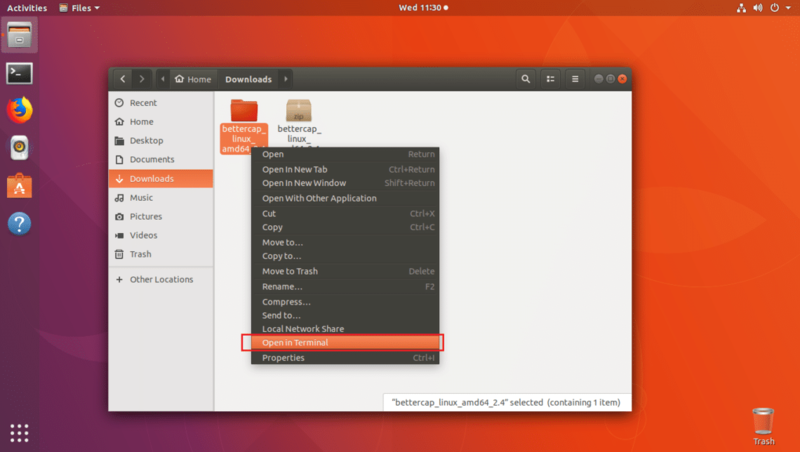 If you list the contents of the directory with ls command, you should see bettercap binary as you can see in the marked section of the screenshot below. Now you have to move the bettercap binary to the /usr/bin directory. So that you will be able to access it without typing the full path. The binary should be moved to the /usr/bin directory. Now if you try to run bettercap, you may see the following error that says libpcap.so.1 library is not available. But it actually was installed when you installed libpcap-dev package. But the name of the library file is a little bit different. As you can see in the screenshot below, the libpcap.so file is in /usr/lib/x86_64-linux-gnu directory. Now all you have to do is make a symbolic link of libpcap.so to create libpcap.so.1. Now if you try to run bettercap again, you may see a different error as you can see in the screenshot below. 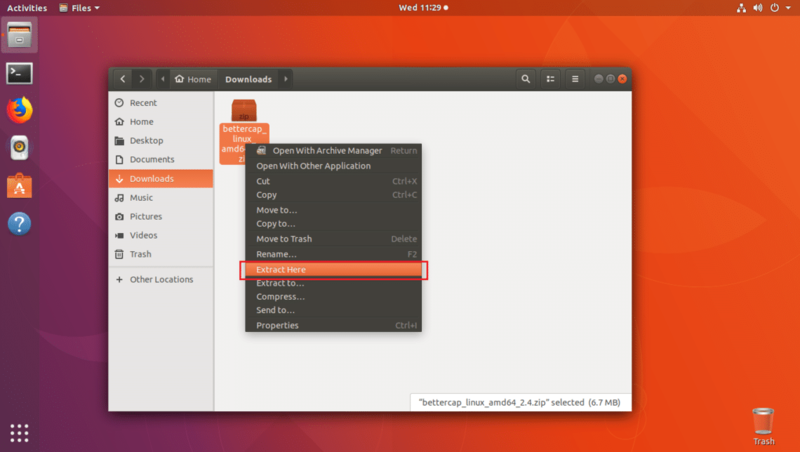 The new error says libnetfilter_queue.so.1 is not available. So our previous problem was fixed. 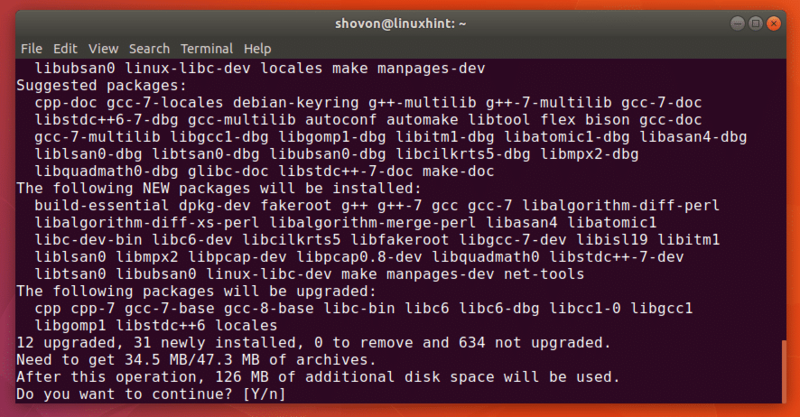 On Ubuntu 18.04, libnetfilter_queue.so.1 file is provided by libnetfilter-queue-dev package. Now press y and the press <Enter> to continue. The libnetfilter-queue-dev package should be installed. Now if you try to run bettercap, it should work. In this section I will talk about how to use the events.stream in bettercap. As you can see in the screenshot below, bettercap interactive mode has started. Here you can type in bettercap commands. 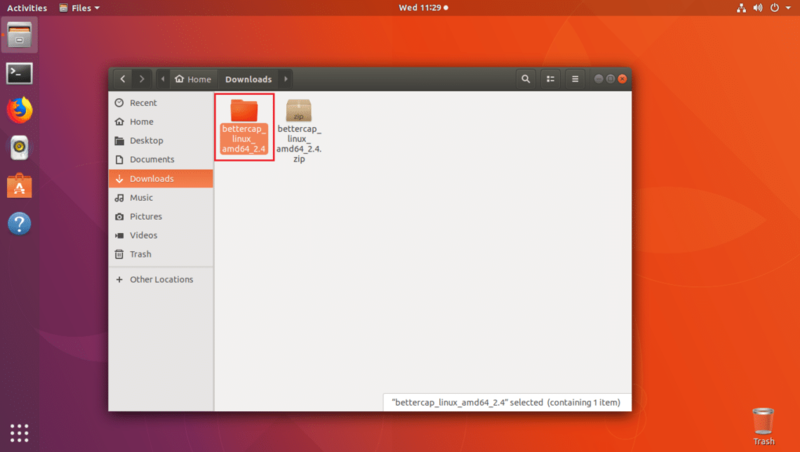 NOTE: OUTPUT_FILE_PATH is the path to a file where the bettercap events will be written. In my case the file is bettercap-events.log in my user’s home directory. You can run events.show command to list all the available events. As you can see in the screenshot below, all the events are listed. As you can see the last 2 events are displayed. As you can see no event is listed when I run events.show command. All the events are cleared. As you can see, BLE device discovery module is initialized. So that’s how you install bettercap on Ubuntu 18.04 and use the events.stream. Thanks for reading this article.